Odyssey Dance Theatre is getting spooky for the 22nd year of its seasonal classic Thriller, where skeletons, monsters and mummies captivate the audience with their frightening dance performance. Thriller has become one of many families' favorite Halloween traditions, and for good reason. The two-hour program includes perennial favorites, such as Thriller, The Curse of the Mummy, Dem Bones, Frankenstein, Jason Jam, Salem's Mass, The Lost Boys and the River of Blood Dance. New surprises for this year's show include the return of Giggle Girl after nine years, an Ode to The Nightmare Before Christmas and a multimedia piece featuring Harry Potter. "People really appreciate and enjoy the humor," Odyssey Dance Artistic Director Derryl Yeager says. "A lot of dance pieces are just people fighting their demons on stage. People love to come to Thriller and have a good laugh. It's a serious vignette of your Halloween favorites. It really helps people get into the Halloween spirit. People come back year after year. It's a fun show; come see what the fuss is about!" Like a lot of modern art, contemporary dance can seem a little strange and hard to understand. But the Ririe-Woodbury Dance Co.'s upcoming repertory production Splice offers a perfect way for a layperson to wade into this sometimes-intimidating world. 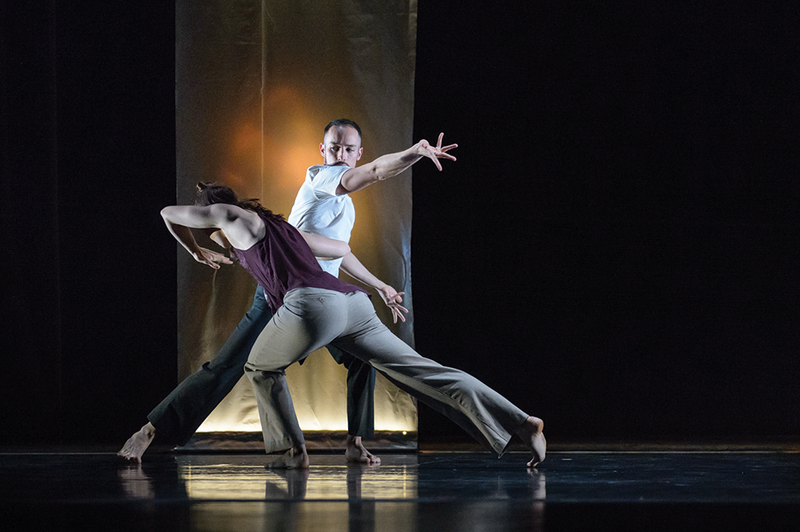 The four pieces represent the diversity of contemporary dance, ranging from straightforward pieces to multimedia works integrating video technology. 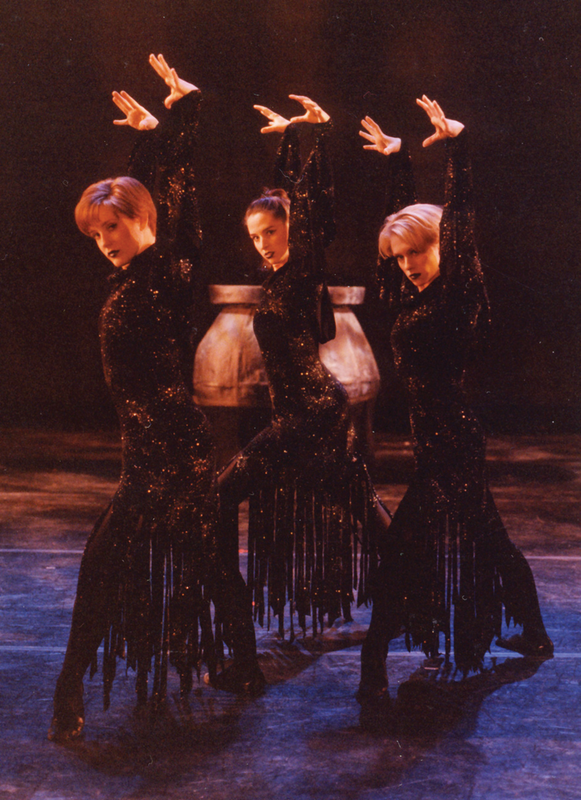 Each of the dances has been performed by the company in previous years. Daniel Charon, artistic director and choreographer, says the works were not only chosen to showcase the talent of performers, but also to give new and unfamiliar audiences a modern-dance sampler platter. "It's not so esoteric, and you don't have to do it to get it," Charon says. "There's so many levels to take in dance that are beautiful." The variety also includes musical selections ranging from 1970s pop to music created by local composer Michael Wall. Despite the pieces' differences, at the core of each one lies the theme of trying to understand who we are, where we come from and how we fit into the world at large. 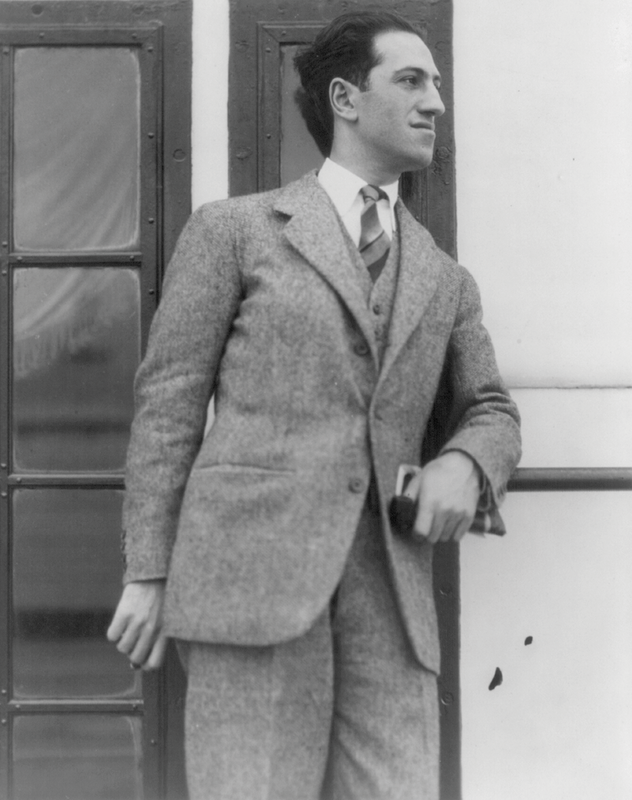 While today's modern-music lover might tend to ignore the contributions of American composers active before rock 'n' roll took root, there's no denying the influence of one of the world's great musical artisans: George Gershwin. His remarkable body of work, which spans the early 20th century, was noted for its innovation, and is still revered by scholars and musicologists more than 80 years after his death. From his early career as a Tin Pan Alley songwriter and the success of his first popular hit, "Swanee" (made famous by Al Jolson), through his ascent to Broadway musicals and popular film scores written with his brother Ira, Gershwin is widely recognized for his exceptional contribution to popular music. Any of Gershwin's compositions could cement him as an icon, but it's three works in particular—Porgy and Bess, Rhapsody in Blue and An American in Paris—that helped solidify his legacy. It's his celebration of that unique fusion of jazz and classical concepts that the Utah Symphony will celebrate as it performs An American in Paris, part of a program that also includes Ravel's Piano Concerto in G and Schubert's Symphony No. 9. It starts off as the kind of office party most people would typically dread: dollar store decor, microwave popcorn, a host trying way too hard to get everybody involved by mixing drinks or singing karaoke. The evening takes a turn when the host gets called away, and suddenly two men in suits crash the party. The "guys" in question are actually dancers Monica Bill Barnes and Anna Bass, playing characters who are equal parts bro-ness and blind spots. 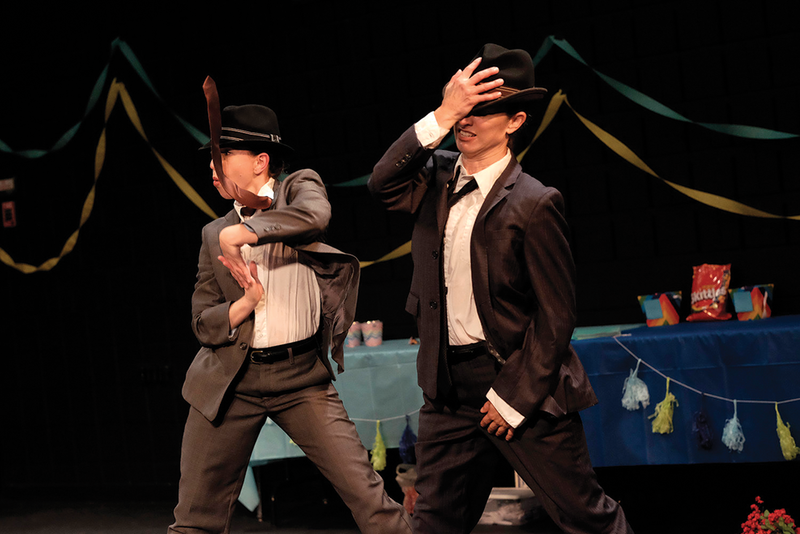 The result is an evening that mixes dance, humor and performance in an environment where the audience is not only part of the party, but also possibly involved in the hijinks. As Barnes and Bass take control of the room, Happy Hour pinballs between awkwardness, amazement and laughter. Throwing two dancers into an office party is just one example of the ways in which Monica Bill Barnes & Co. pursue the credo of "bringing dance where it doesn't belong." Other pursuits by the New York City-based troupe have included a guided exercise tour of an art museum, dance as a live sporting event complete with performers in eye black, or an evening with Ira Glass of This American Life.